PAUL BERRIFF, OBE, spoke at a Hedon Viewfinders sell-out meeting in the town on Wednesday, April 17. The award-winning documentary film-maker kept the capacity crowd of 100 people gathered in the Haven Arms, enthralled with tales of his experiences as a photographer and TV cameraman. His adventures from photographing pop legends in the 1960s to filming the collapse of the Twin Towers in 9/11 kept the audience spellbound for almost 3-hours. 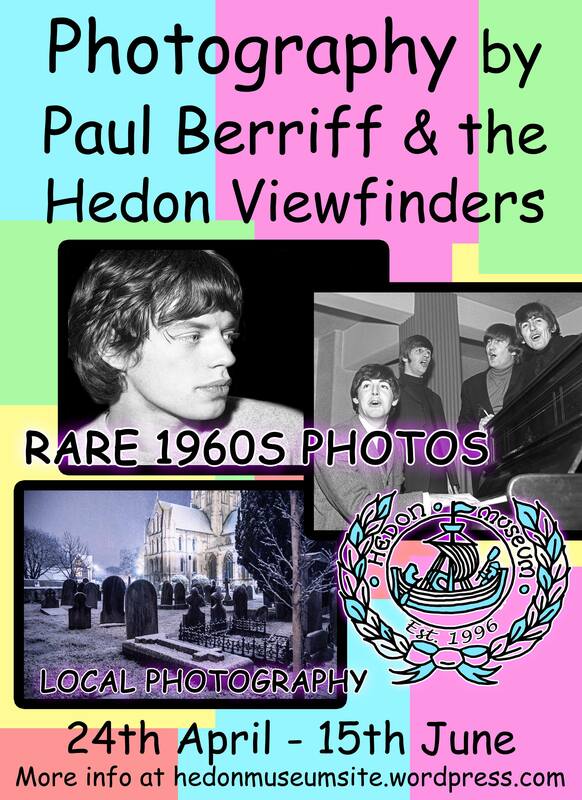 Ray Duffill from Hedon Viewfinders photographic club who had arranged the meeting was delighted with the audio-visual presentation from Mr Berriff and the response from the audience: “The Haven Arms venue was packed with standing room only at the back for late-comers. Paul Berriff is probably one of the most engaging speakers I’ve heard. He took the audience with him on his life-journey from a 12-year-old boy picking up a roloflex camera for the first time, to reliving the horrors of 9/11. People leaving the meeting were just ‘buzzing’ about what they’d heard. And of course Hedon Viewfinders members (17 of us) also have an Exhibition and displaying a small collection of photographs responding to the theme of ‘Hedon’. So get yourself along to the Hedon Museum, it’s open every Wednesday and Saturday from 10am – 4pm until Saturday 15 June when the Exhibition closes at 4pm. We are delighted to present our Programme of meetings for the rest of 2019. 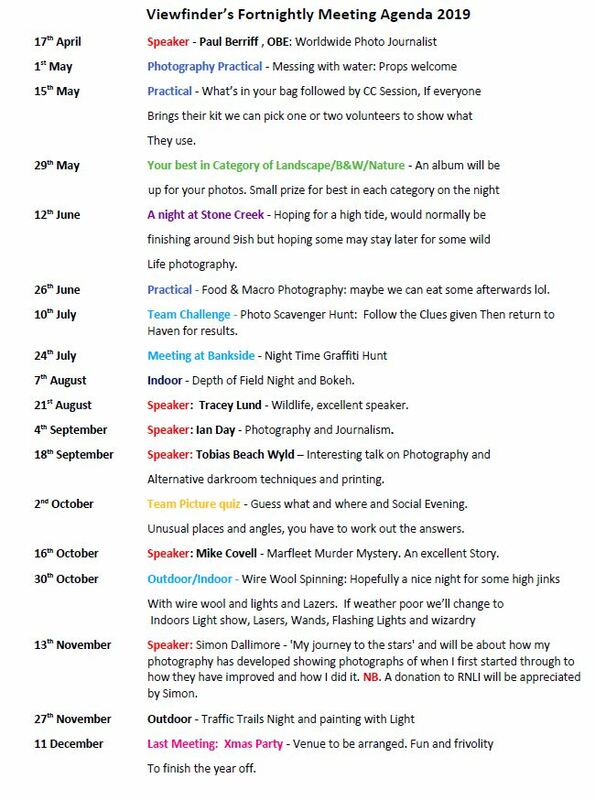 Arranged by our Programme Manager Glenn Stallard after discussion with members, the events listed here with practical sessions, field trips, and great speakers, should have something of interest for every one. Our next meeting at the Haven Arms on Wednesday 1st May at 7pm is a practical photography session “Messing with water”. Bring your cameras, tripods and flash units if you have them. There will some experiments using the water theme to have a go at, and practice with your camera settings, but you can also set up your own props and experiments. Hedon Viewfinders photographic club – free, fun and friendly. ALL WELCOME. JUST TURN UP, OR CONTACT US.